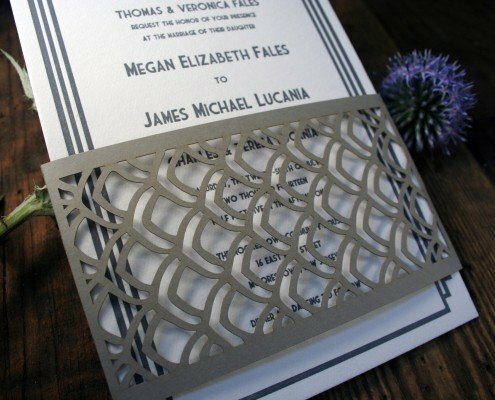 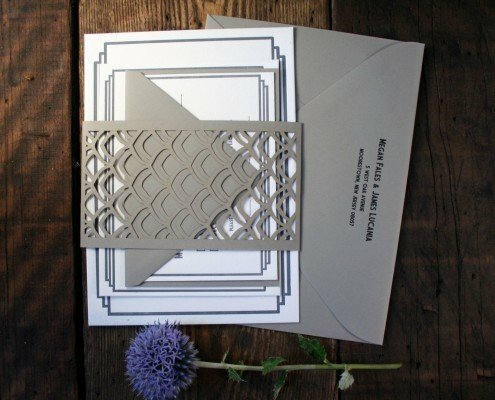 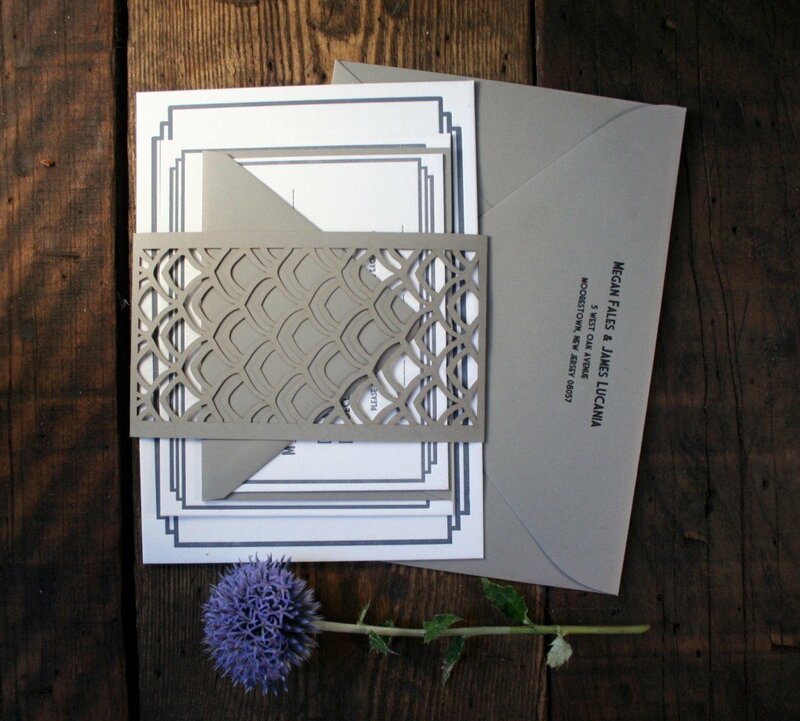 Simple, classic, and with an apparent air of mystery you can’t quite put your finger on, our Gatsby letterpress invitations are classy and refined. 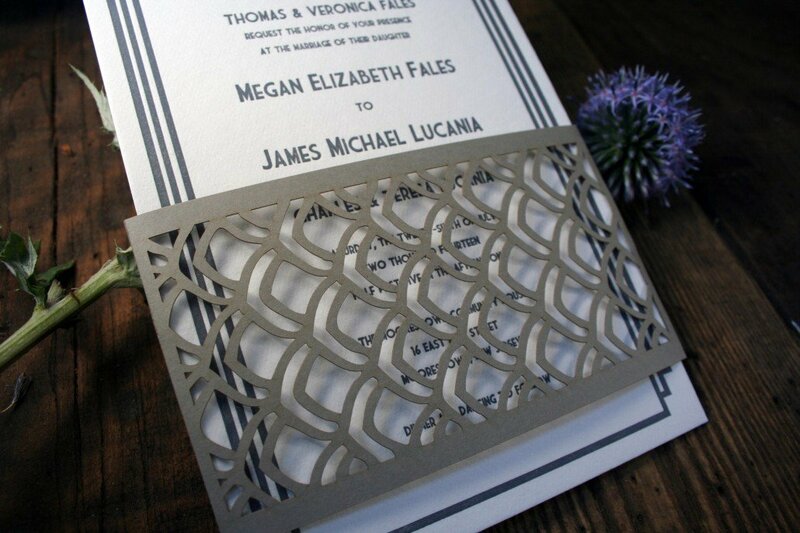 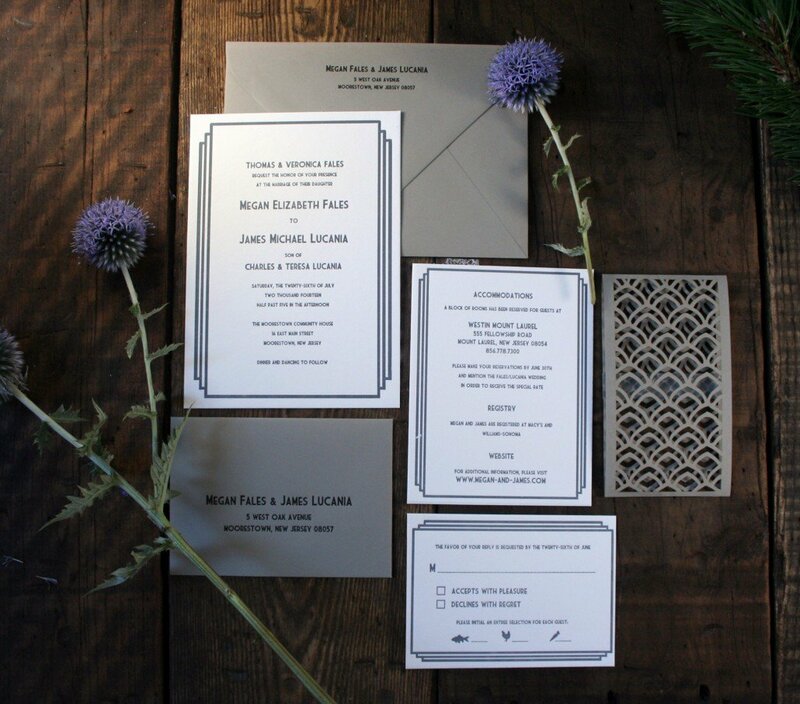 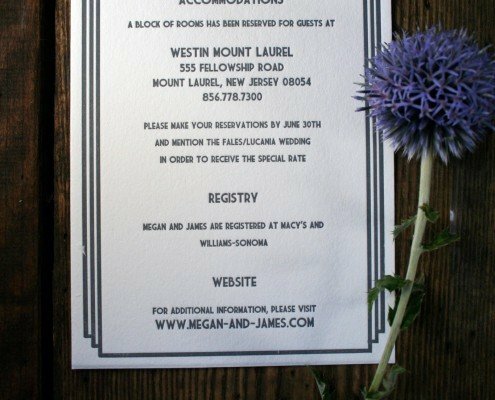 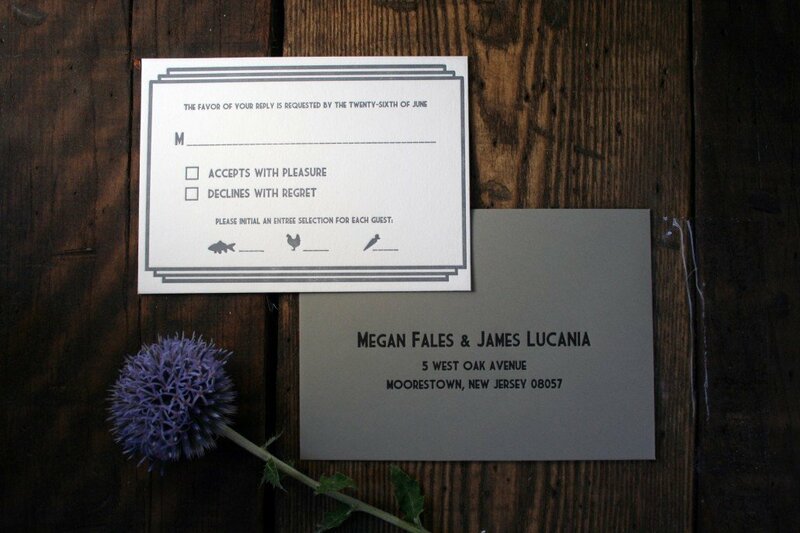 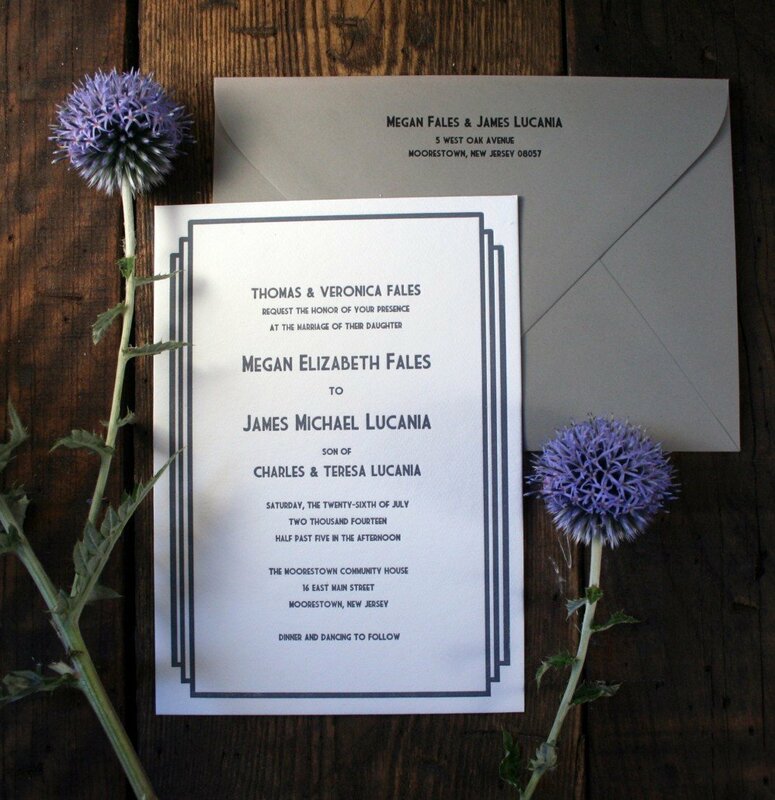 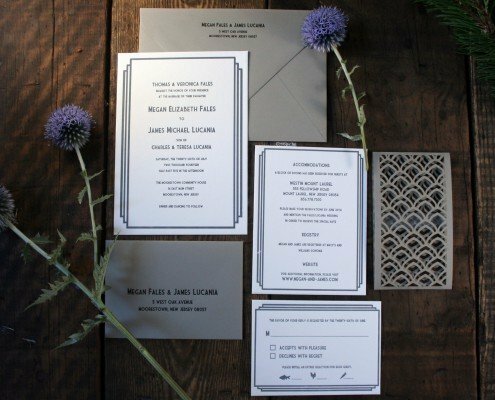 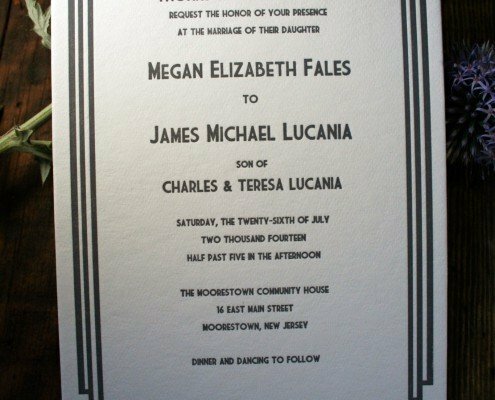 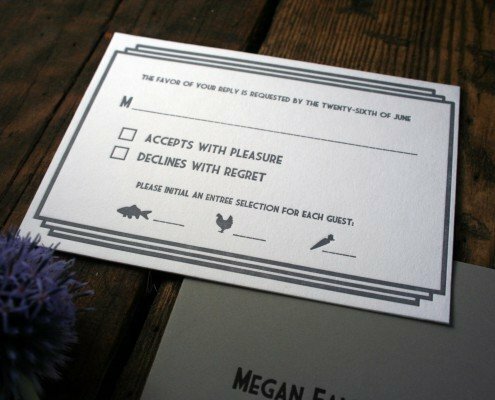 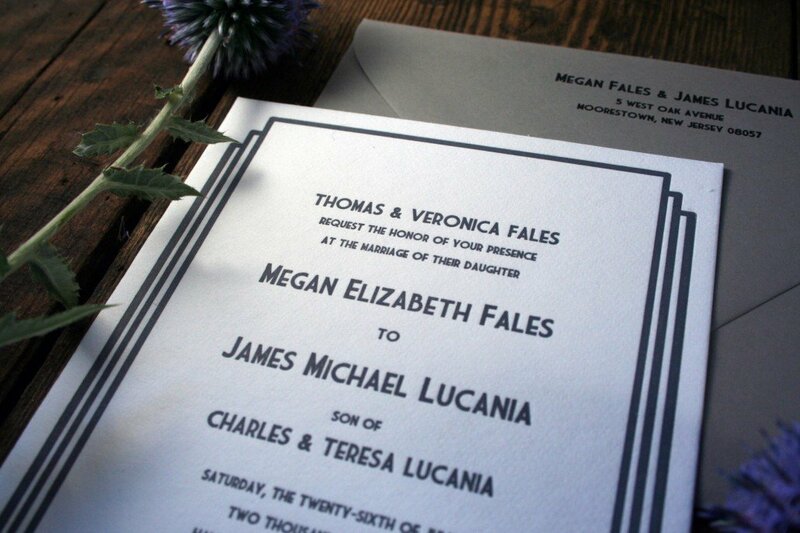 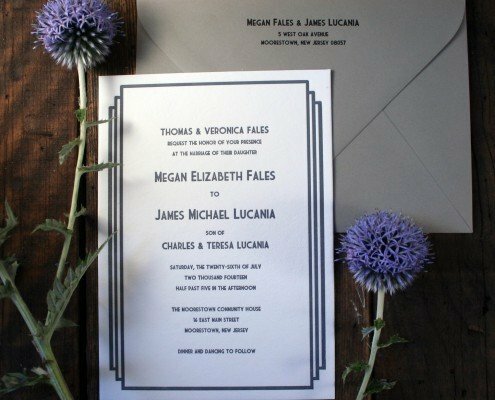 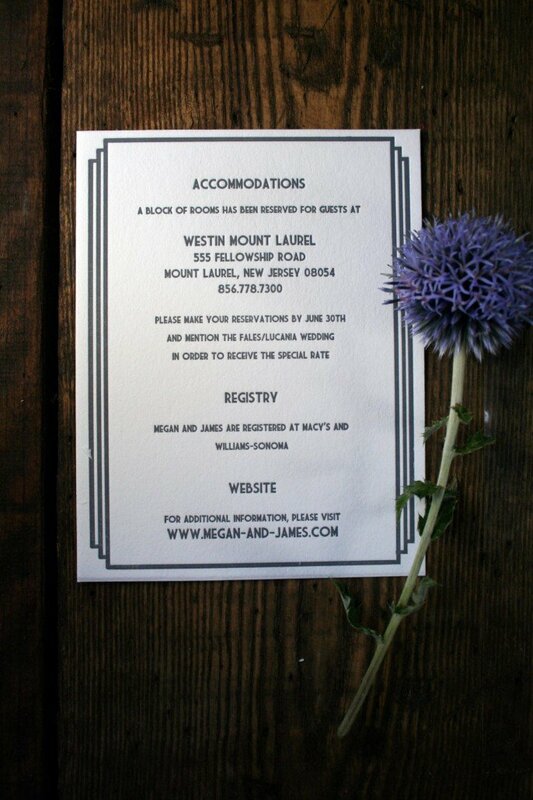 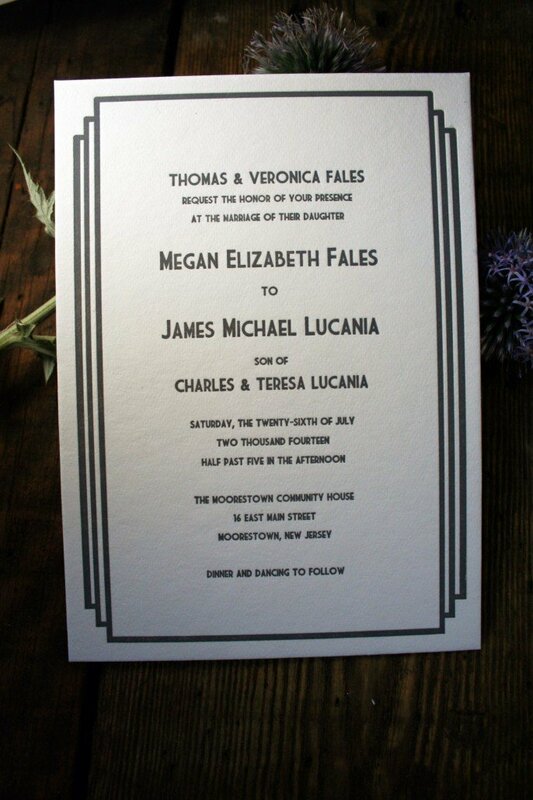 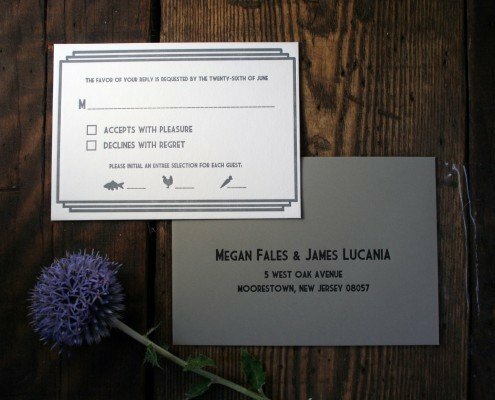 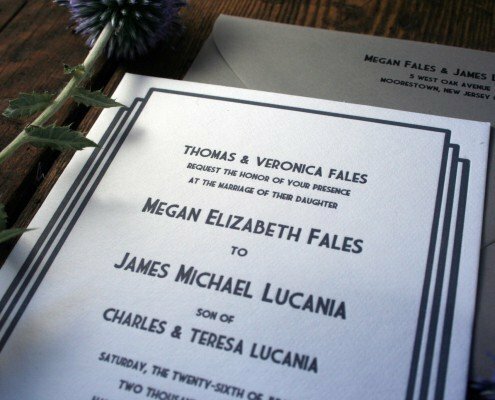 This bold design in letterpress is perfect for a black tie wedding with timelessly formal elegance. 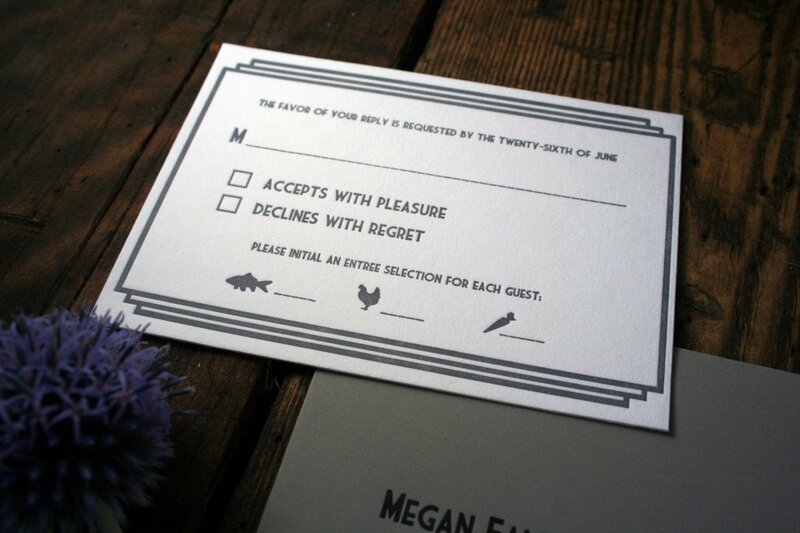 Jay Gatsby himself would be proud!